Four generations of family owned orchard goodness! The Yager's started in the apple business in 1943. Lloyd N. Yager, the current owners' grandfather, bought Twin Orchards for his son, Donald G. Yager. This father-son partnership ran the business before Lloyd N. eventually sold the business to Donald in 1951. In 1998, Donald G. Yager sold Twin Orchards to the current owners: brothers Lloyd W. and Jon E. Yager. 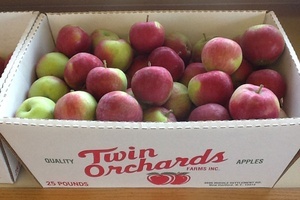 Jon and Lloyd have worked at Twin Orchards since they were young kids. There are still five family members involved in the business, including Lloyd's wife Lori, Jon's son Shawn and Lloyd and Jon's sister, Rebecca. 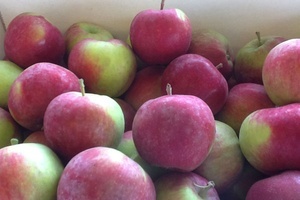 Fresh Apples Available: McIntosh, Cortland, Macoun, Gala, Jonagold, Empire, Golden Delicious, Red Delicious, Northern Spy, Crispin, Ida Red, Jonamac, Honey Crisp, Spigold, Zestar, Fuji and many more! 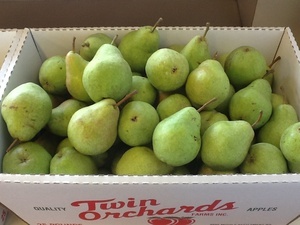 Our fruit selection includes: Peaches, Raspberries, Blueberries, Asian Pears, Bosc Pears, Barlett Pears, Oranges, and Grapefruit. 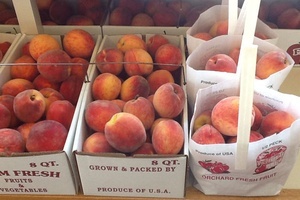 Fresh produce includes: sweet corn, tomatoes, acorn squash, butternut squash, zucchini, cucumbers, and eggplant. 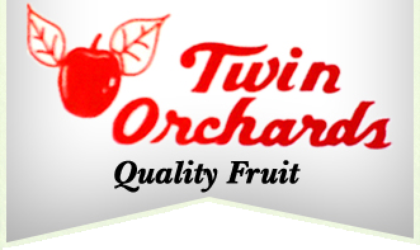 Everyone that works at Twin Orchards is knowledgeable and professional. They make it their goal to truly know the product and to treat the product the way it should be treated to provide the best quality fruit to customers. Customers will learn what they can do with which apple varieties and when.